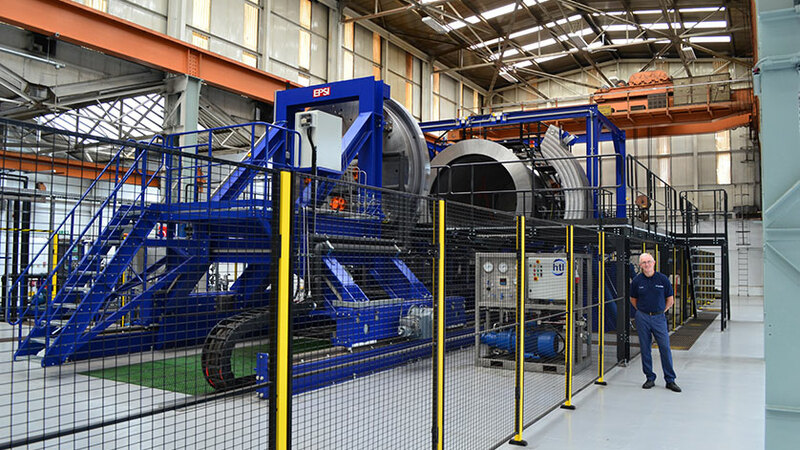 Tyne Subsea, a multi-million-pound research and testing facility being developed in the UK, has successfully completed its first commercial test in one of Europe’s largest commercially available hyperbaric pressure testing chambers. The facility, which is being developed by engineering group British Engines and Newcastle University, will offer customers world-leading pressure testing services in an integrated facility in Killingworth. Tyne Subsea will operate nine chambers of varying specifications, including a chamber which will test pressures past the deepest known point on Earth, for components which will explore the Mariana Trench. Tyne Subsea’s first commercial test in its largest chamber measured buoyancy loss in a subsea module. The module, which was 2 by 0.5 meters, was tested at pressures of 4,641 PSI over 24 hours to establish how much water was absorbed when the component was subjected to prolonged deep-water submersion. The largest chamber is capable of testing high pressures, while accommodating large objects, with an internal length of 4.5 meters (almost 15 foot). The chamber can simulate water depths to 4,500 meters, can reach pressures of 450 bar and can simulate subsea water temperatures down to -2 degrees Celsius. The chamber is unique; often bigger vessels are limited in their abilities and can only simulate low pressure ratings due to their size. Hyperbaric testing is the only way to ensure the reliability of products working under subsea conditions or performing in high pressure situations. Hyperbaric chambers are used to simulate water depths and pressures to test and verify that products can operate safely under extreme pressurised conditions.